Make your body all lovely with ancient Ayurvedic recipes; Biotique’s range is made from lots of natural stuff like herbs and vegetables. 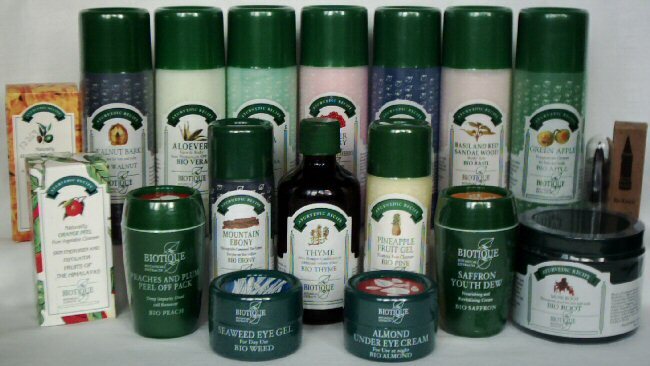 The products smell great and come very highly recommended by all those who find and use it. The names alone are enchanting, for example chlorophyll Gel, but the stuff works too. Papaya scrub is particularly gorgeous making. To top it all you can buy it in the engrossing Jothi Flower Shop, 1 Campbell lane in Little India, where you can pick up lots of other treats for the senses including their own line of herbal bath mixtures at obscenely cheap prices.